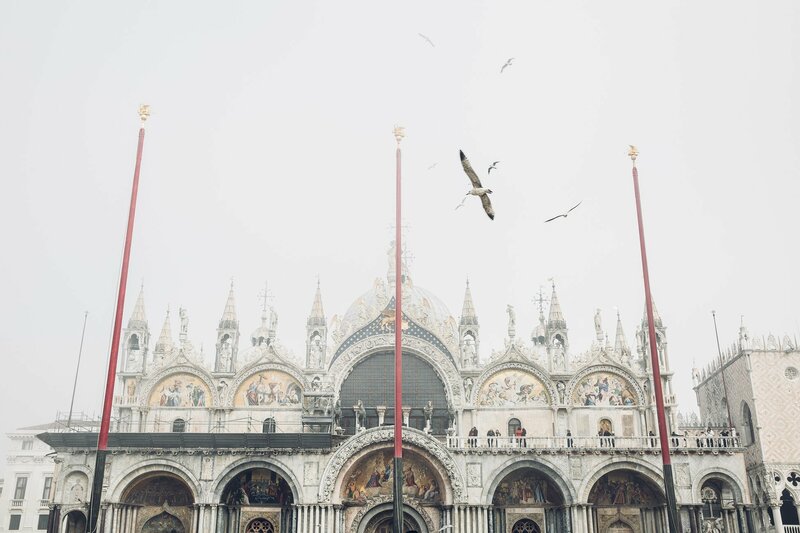 In a city like Venice space is a rare commodity. Everything and everyone is fighting for each centimeter of space in between the narrow canals and pathways and for sure against the water level. 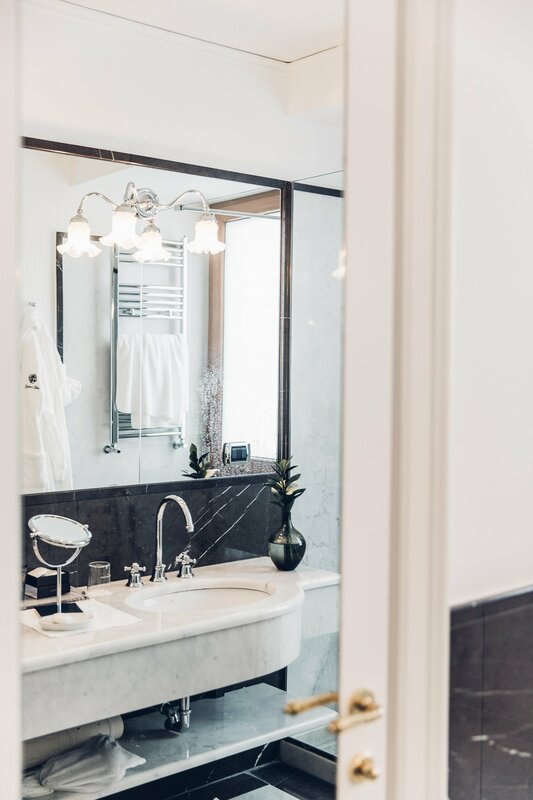 Therefore it’s not easy to find a hotel with spacious rooms and halls, a place to breathe and relax among the constrictions of the city. 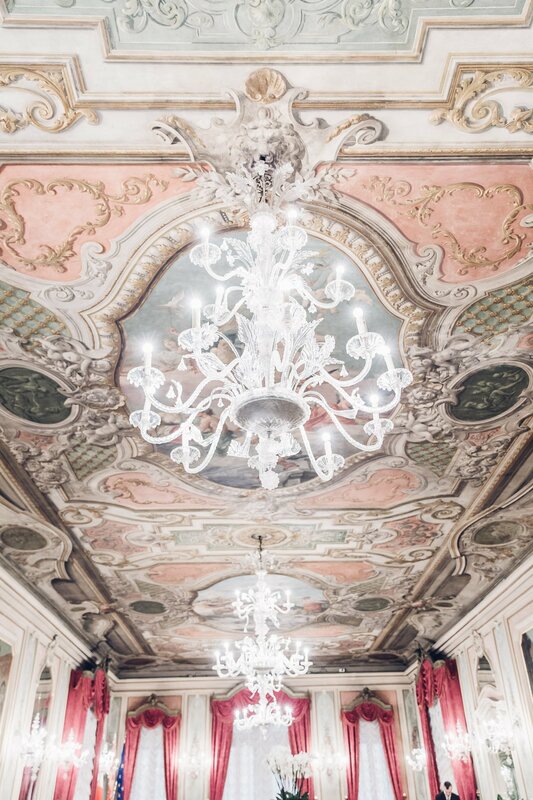 The Baglioni Hotel Luna is such a place – and more. 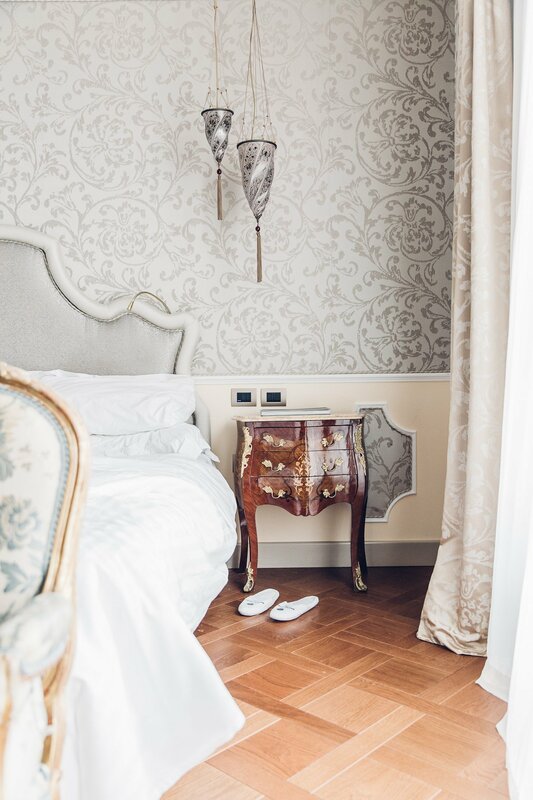 Our newly renovated Deluxe room features 30 square meters, which is more than luxurious in Venice. 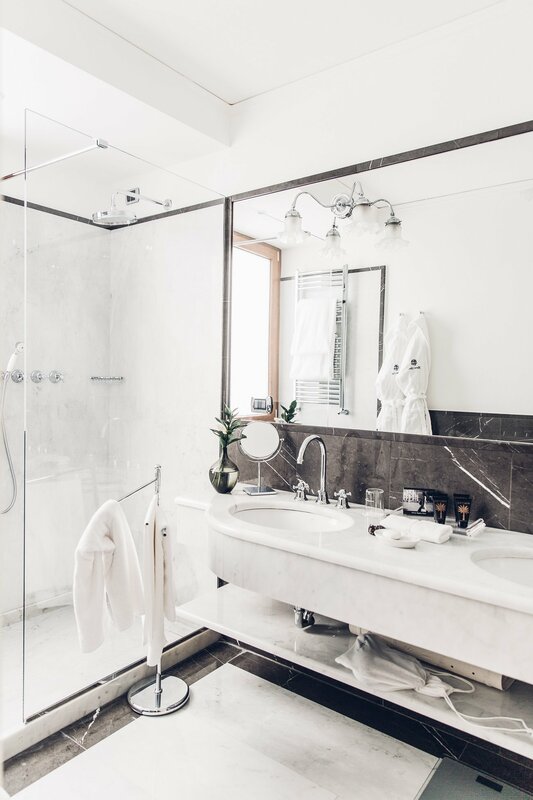 There wasn’t only enough space to lay out both of our suitcases – no, we also had two sinks in the bathroom and a spacious shower and even a separate toilet (something I always appreciate 😉 ). To top it all off our room had a balcony too! 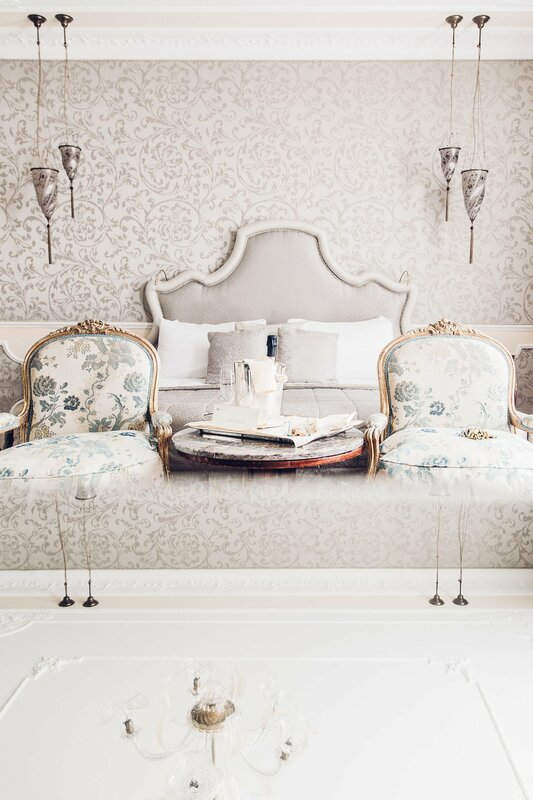 Deluxe Room at Baglioni Hotel Luna in Venice. 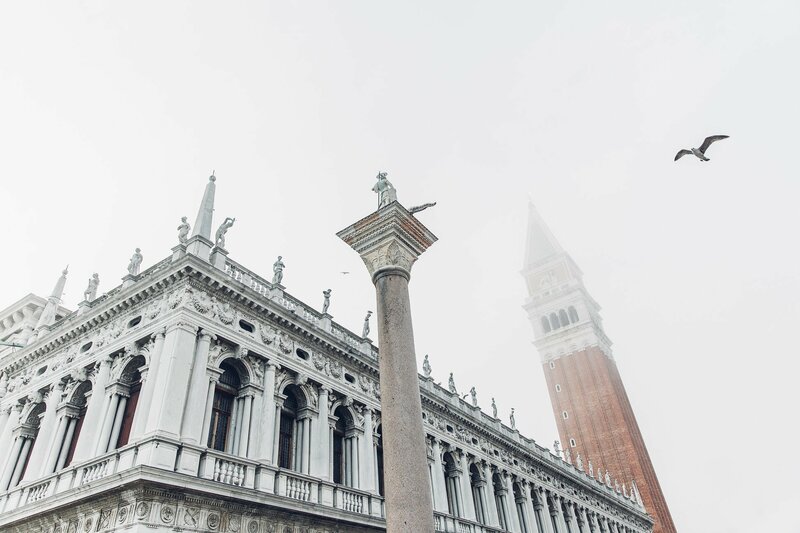 One thing you want to make sure when you stay in Venice is the location of your hotel. Why? 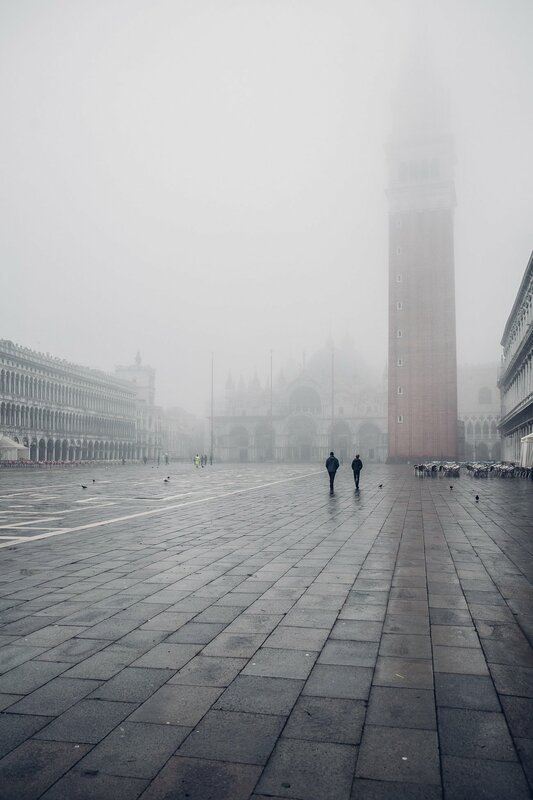 Two factors: First, there’s no cars in Venice (duh!). Therefore you want to be close to the main areas you are planning to explore to avoid making too many kilometres by foot (you’ll walk enough anyhow). Secondly, public transport is expensive for visitors. A single Vaporetto ticket costs 7,50 Euros per person. So if your hotel is located across the Grand Canal you might have to spend more than you want on short boat rides just to cross the canal. 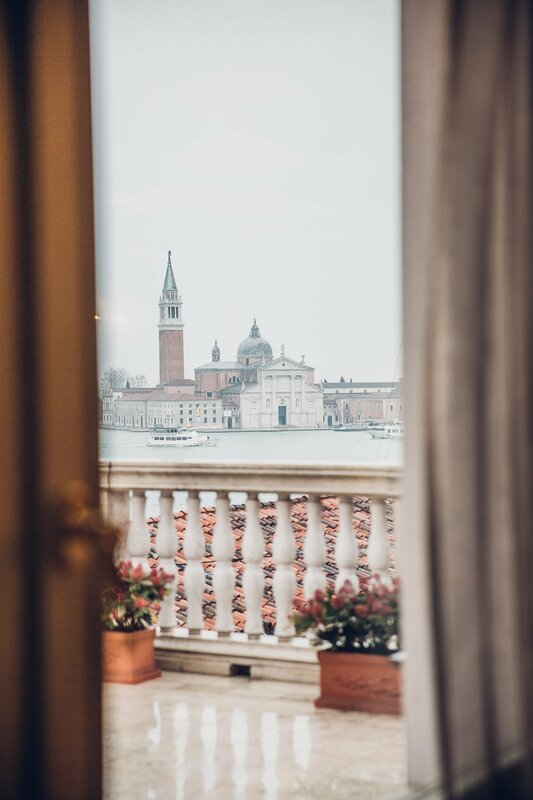 This is the view from a Suite’s terrace at Baglioni Hotel Luna. 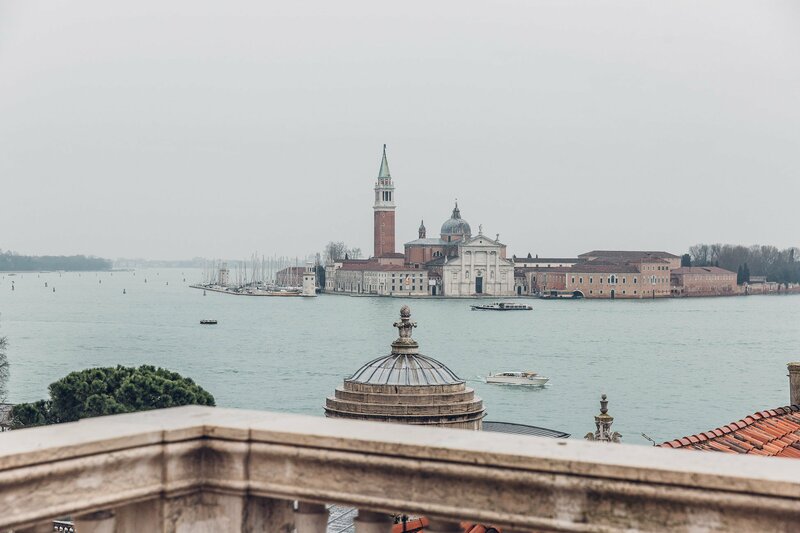 It’s located right across from the Island of Saint Giorgio Maggiore! 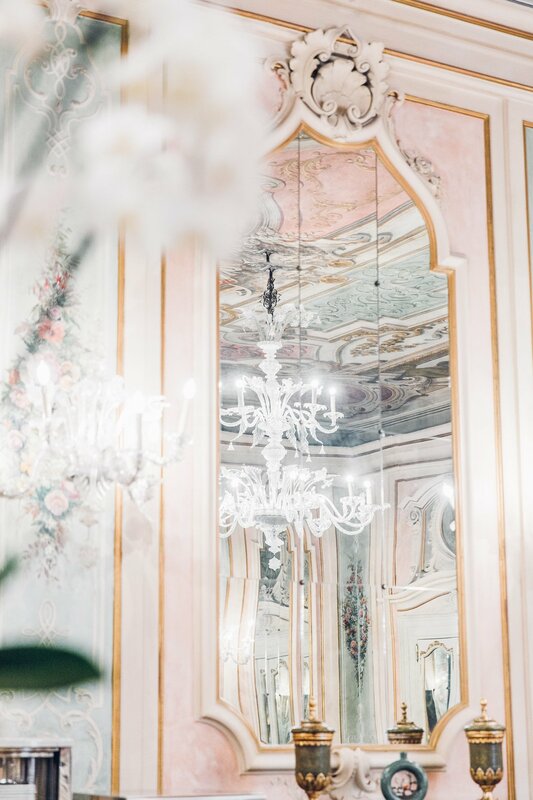 This is where Baglioni Hotel Luna wins: It’s located only a few steps behind St. Mark’s Square – yes, the famous main square of Venice. 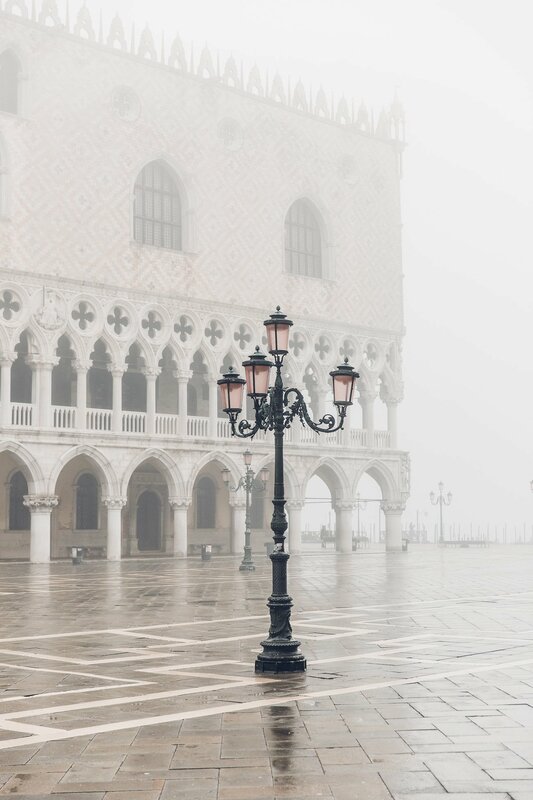 We used this to our advantage by simply stepping out at the square before breakfast to experience it empty and alone in the early morning fog. Or by walking around at night after everyone had already left the city center to be blinded by the reflecting lights on the wet ground. 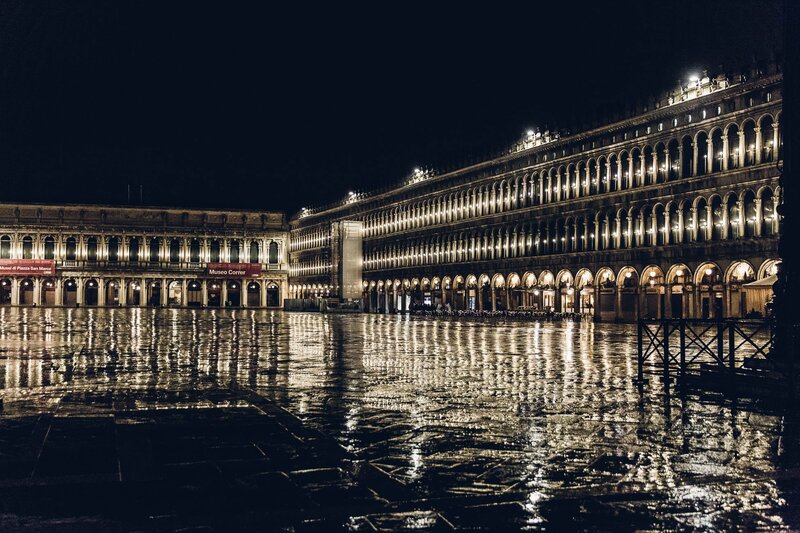 The hotel’s location right behind St. Mark’s Square is a real advantage! 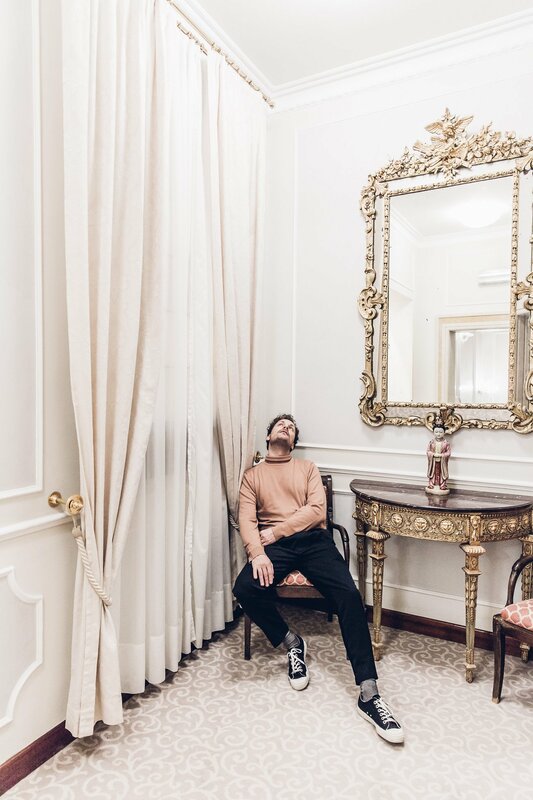 During our stay at Baglioni Hotel Luna we got the chance to meet with hotel manager Gianmatteo Zampieri, who guided us through the hotel and a bit of the history of Venice as well. 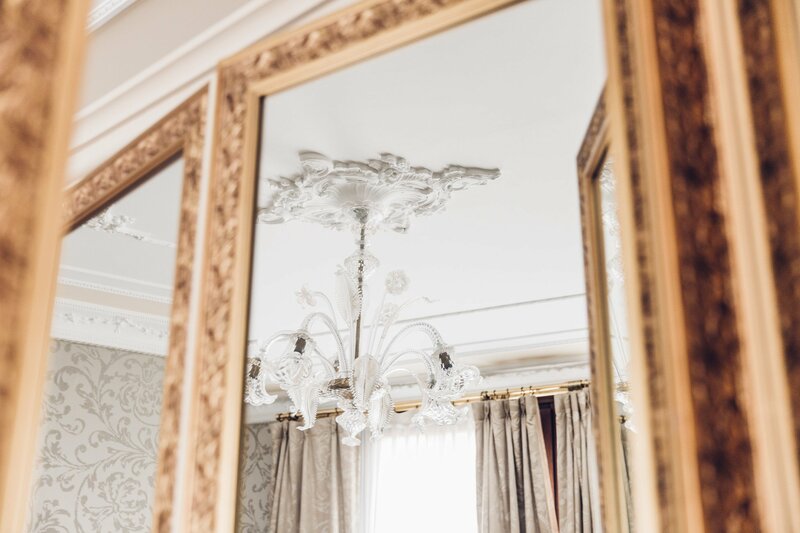 We stood with our mouths open when he explained the origin of every single piece of furniture in the Suites. 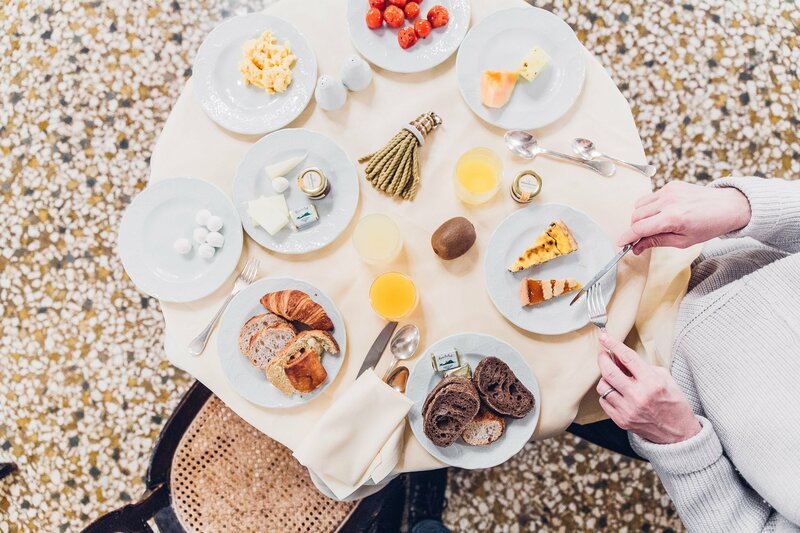 You have to understand that the hotel isn’t just another from-the-rack chain hotel. 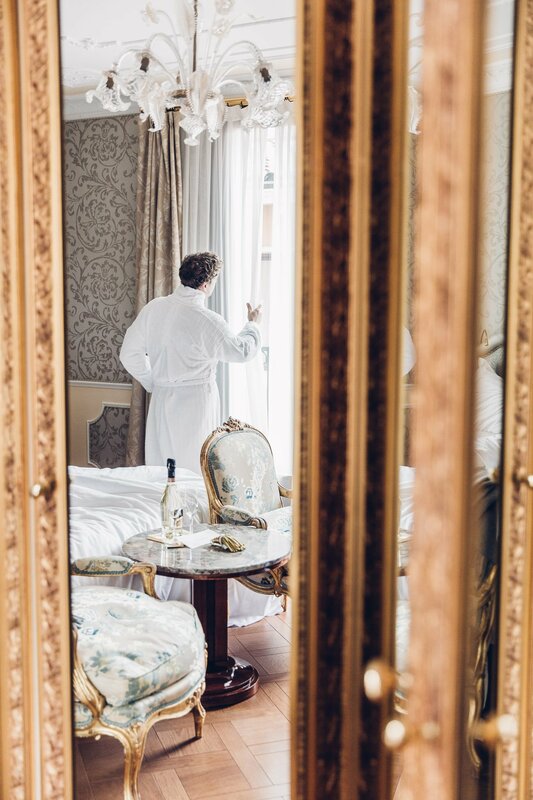 At Baglioni Hotel Luna you’ll stay at a living and breathing museum. 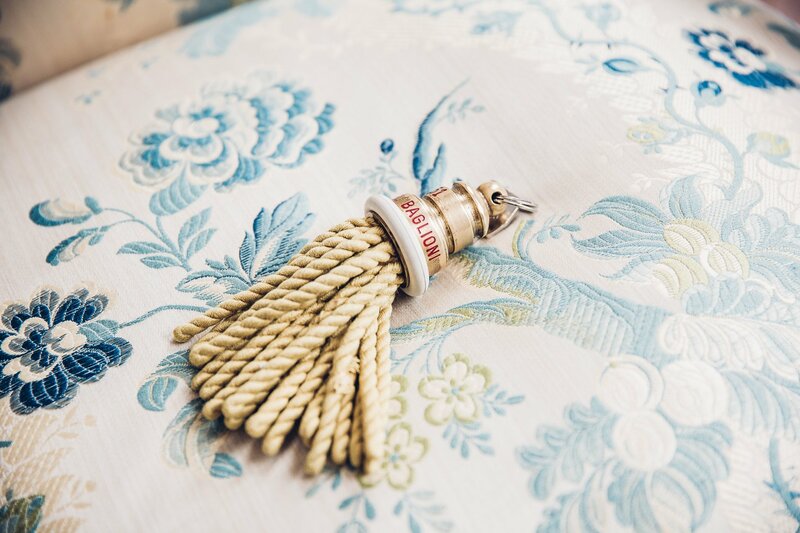 Every piece has a history (often related to the owner’s family) and has been hand-picked. 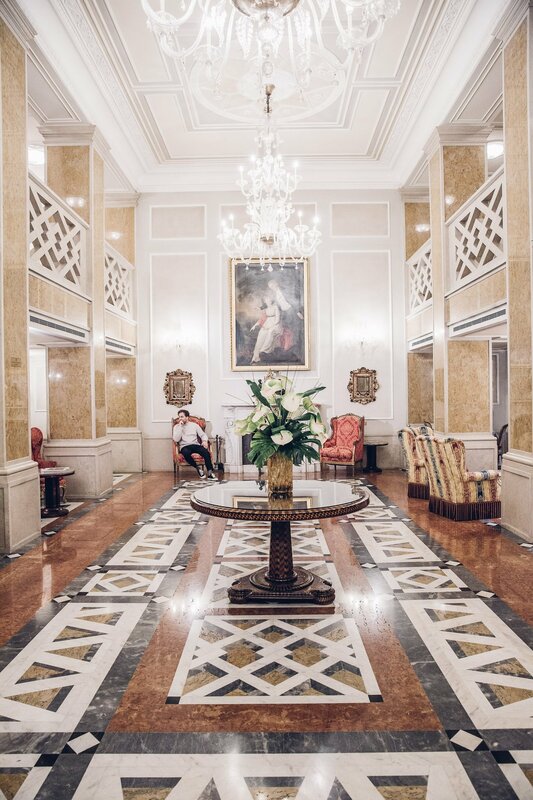 There even is a 200 page catalogue listing all the items in the hotel – and Mr. Zampieri for sure studied it well. 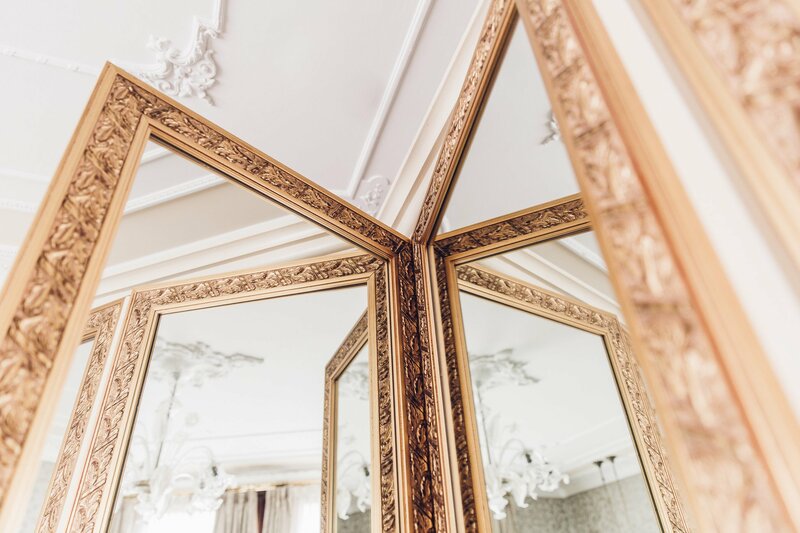 When your room is equipped with a Récamière from the 17th century you have to think twice before you can believe it! 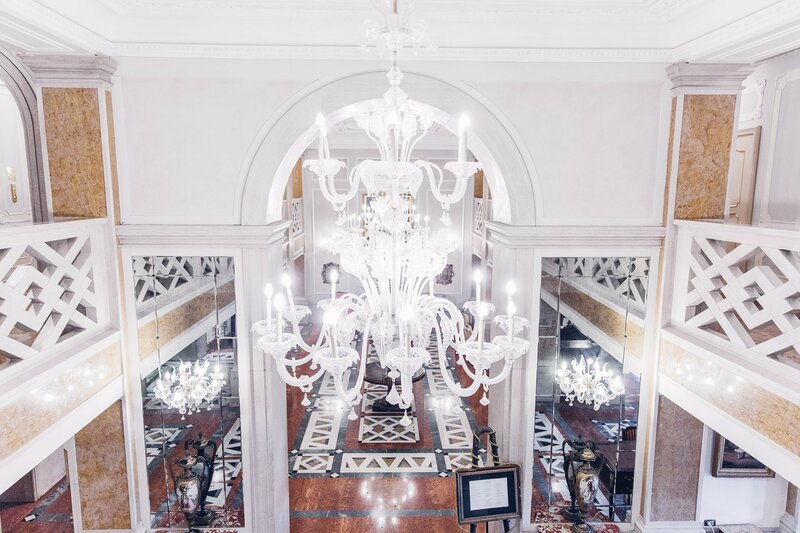 Murano glass is omnipresent at Baglioni Hotel Luna. Wherever we stay we try to look at the guests and get a sense of who this place would be perfectly suited for. 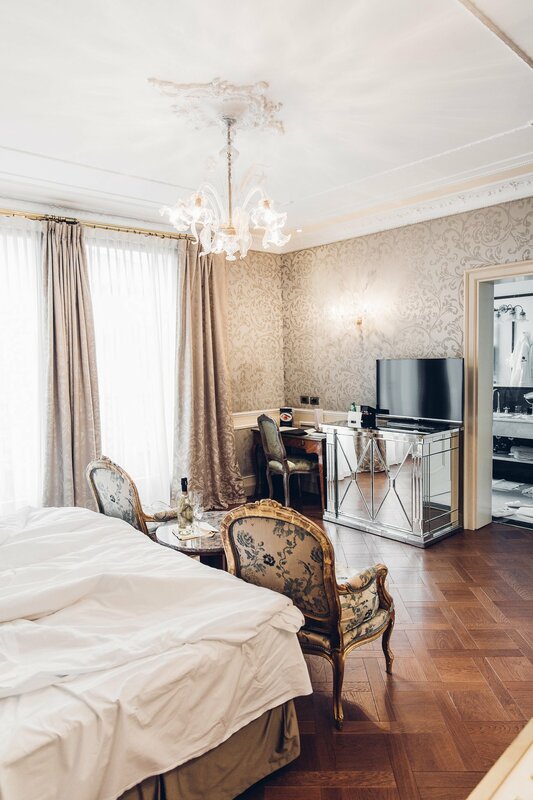 With Baglioni Hotel Luna it’s pretty clear: It’s made for travellers who like to get in touch with the history of a city, breathe in parts of it and live in it. It’s not for the quick city hopper, who just comes for the culinary delights and summer sun. 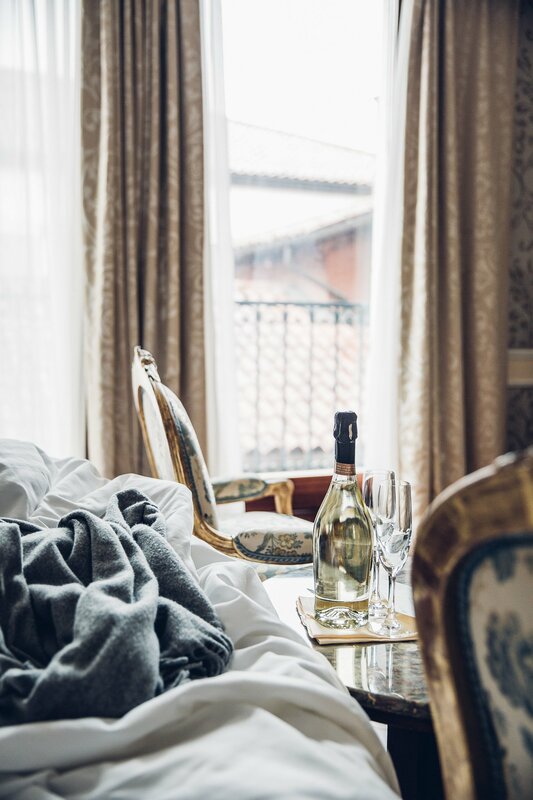 This hotel is for somebody who wants a deeper connection with Venice. And this is something the city is clearly missing: People who don’t just come for the quick fix of beautiful canals, but for visitors who stay more than for just a day to truly learn about the city and it’s mysteries. By now we’re becoming a regular at “The Leading Hotels of the World“. 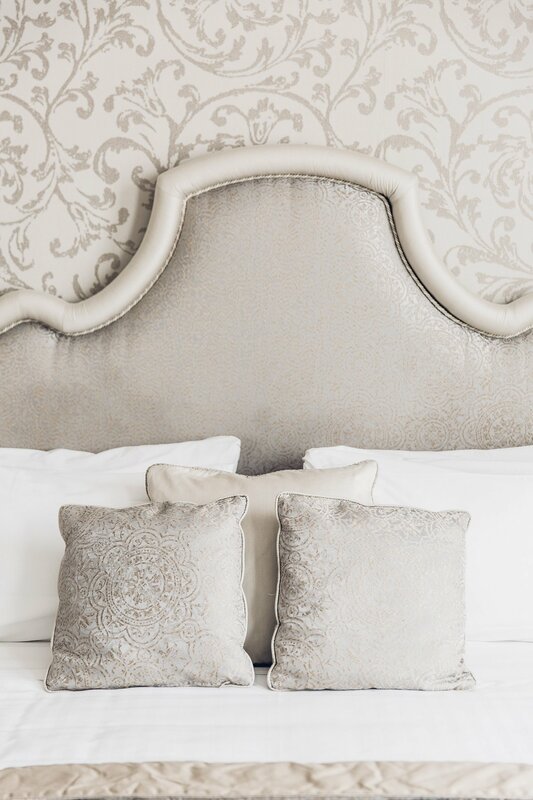 With 375 hotels worldwide it’s one of the largest luxury hotel collections. 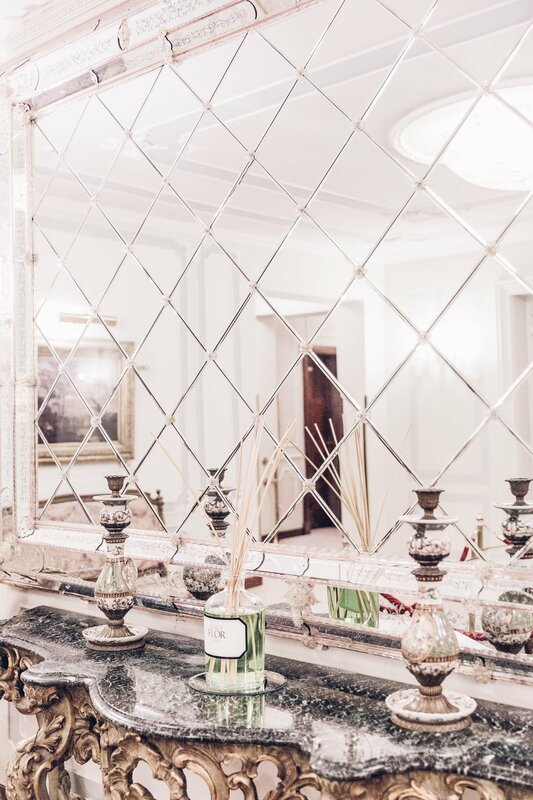 Each hotel is defined by tied roots to it’s destination and excellence in service. This year LHW celebrates it’s 90th anniversary! 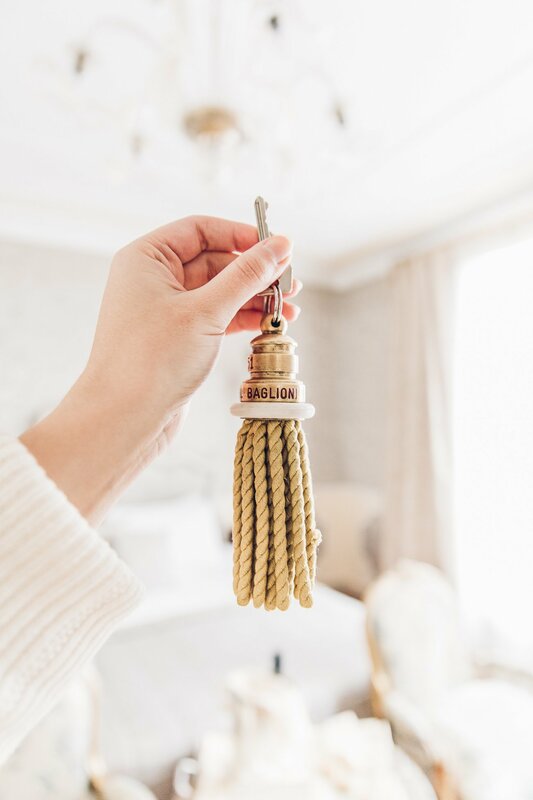 What started as a small circle of exquisite hotels has grown into a celebrated selection of outstanding hotels in the whole world. And we’re happy that we got to visit a few LHW hotels already! ?‍? 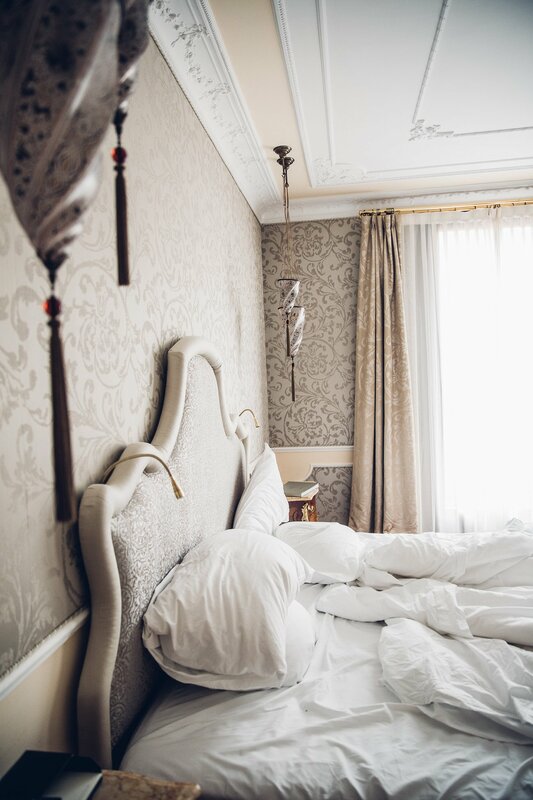 Check the hotel at LHW for more infos: Baglioni Hotel Luna. 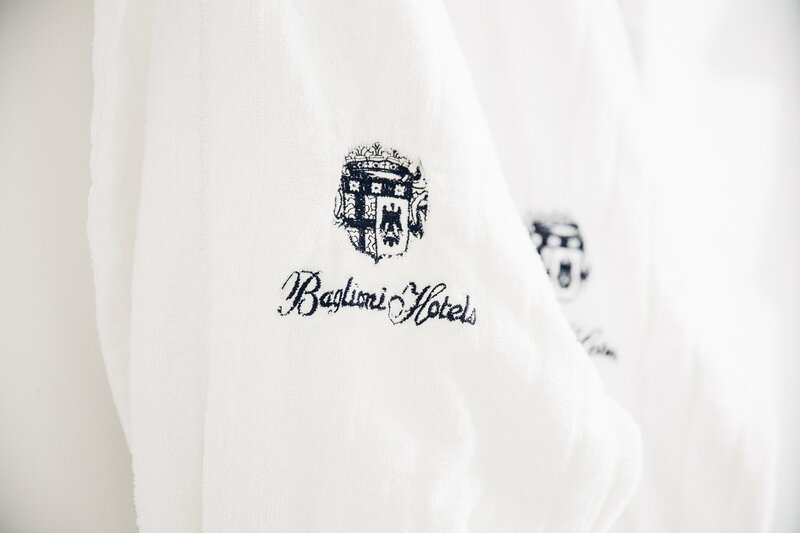 Deluxe Rooms are starting at 300 Euros per night. 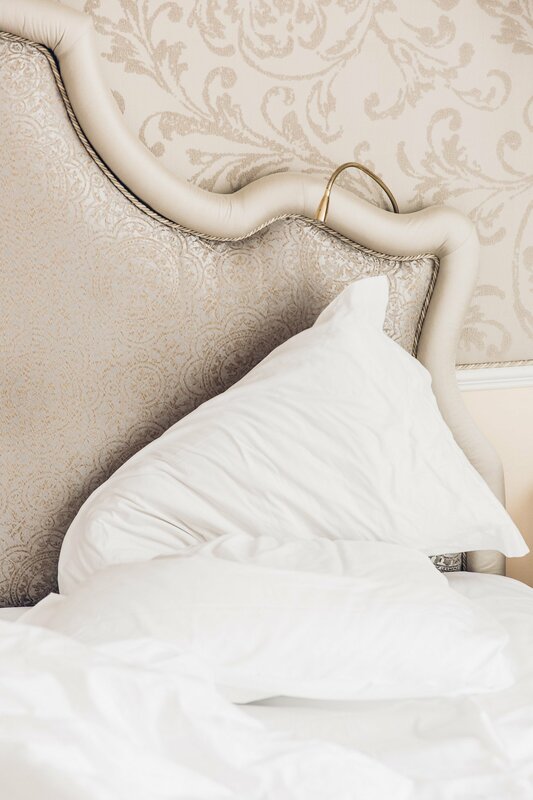 Disclaimer: We were invited to stay at Baglioni Hotel Luna by The Leading Hotels of the World, but our views of the hotel stay independent from that invitation.